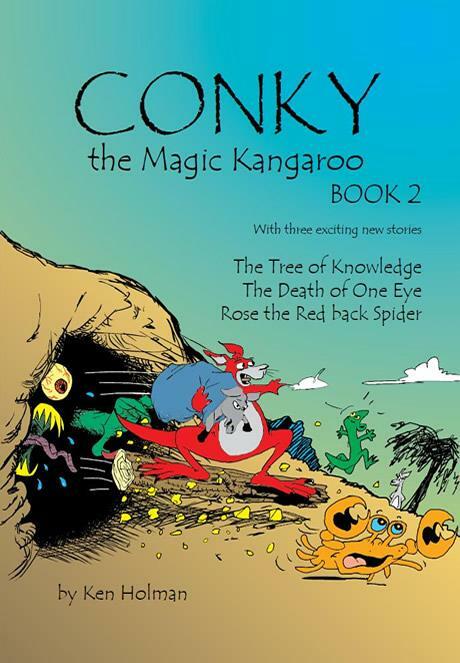 In this edition of Conky the Magic Kangaroo there are three complete books all endowed with many chapters and illustrations of the wonderful and exciting stories of Conky's feats while depicting the ever changing landscape of the Australian bush and the ever present threat of feral animals introduced by man.Learn about the 'Tree of Knowledge'. Be enthralled with the events that lead to the demise of One Eye the monstrous salt water crocodile. Be frightened by Rose the huge red back spider and amazed by Madison the magnificent mud crab. Share with the author, Ken Holman, some of the awesome experiences he has witnessed in the ever changing environment of this vast country, Australia.Marvel at the heart stopping adventures of Conky and his many friends, for it seems no sooner do they solve one problem than they are up to their necks in another!